The Main Gallery at The Old Auction House exhibits a range of artists and mediums throughout the year. Nicole Barros, Chloe Gillespie, Rochelle Hanson, Anne Lawson, Marika Paarman, Paula Zetlein, and Emily Ziccone. Marianne Bradman, Sally Brown, Jacquie Campbell, Lucy Cleary, Jennie Colic, Michelle Guest, Deby Miller, Deborah Pentland, Bob Pride, Monica Provan, Judy Rodsted-Wood, Jan Verouden, and Debbie Wennrich. Elio has worked as a professional photographer for over 40 years. He has documented a diverse range of subjects from Weddings to refugee camps in Syria, and many subjects in-between. This exhibition is a collection of images taken during two trips to India. 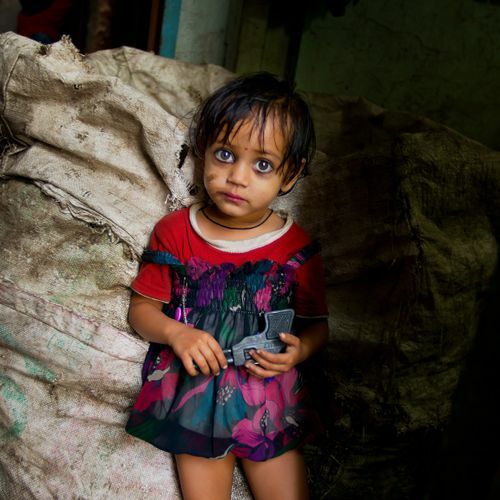 The photographs have been selected to focus on everyday people living their lives in both urban and rural India. Erin Robinson is a Ballarat artist who has a love for art and a love for animals. In the exhibition ‘Feathers and Fur’ Erin combines those two loves to create whimsical, beautiful watercolour artworks. In his first solo exhibition in 25 years, Peter Drakeford explores new techniques, the human form, and his continuing contributions to the art scene. Liz Caffin, a printmaker, and Brett Tyler, a sculptor, live together near Castlemaine and share a love of the Australian bush. The pair have been creating in their own mediums for many years. The Annual Group Exhibition of Buttlejorrk artists with works from 10 of the group in a variety of mediums. With both artists having a long history in sculpture this exhibition is the union of two old friends both creating very different art with the common theme of joy and whimsy. Their sculptural mediums include timber, canvas steel, stainless steel, gold and silver. Celebrating glass, spring, and Kyneton's Annual Daffodil and Arts Festival Leadlight By Ettore's studio show is a bright and fresh take on some of their crowd favourite pieces. A collection of 20 fluid art pieces by fluid artist Maggie. The show as a body of work is incredible but when you add that she is baring her soul in order to raise awareness and start a conversation about Childhood Trauma and specifically childhood sexual assault through her interpretation of the Japanese art of Kintsugi. Fusing the digital and the organic, the spiritual and the make believe. Painterly hand drawn imagery, photography and digitally created collages, all remaining deeply rooted to nature. complement the nature of each design. In it's 13th year the Working Outside the Square Scholarship exhibition challenged the participating artists by providing plastic balls from the construction industury to use as their canvas. Group exhibition of 5 members of the Syndikas family, showcasing new works as well as pieces from private collections in both sculptural and 2 dimensional forms. In his first solo exhibition Peter Patterson demonstrates his unique style of landscapes on recycled rolled sheet metal alongside his progressions in portraiture. Darkness - it is everywhere, within ourselves and within the environment. Three artists respond to darkness to seek what is there or if the light will conquer the darkness. 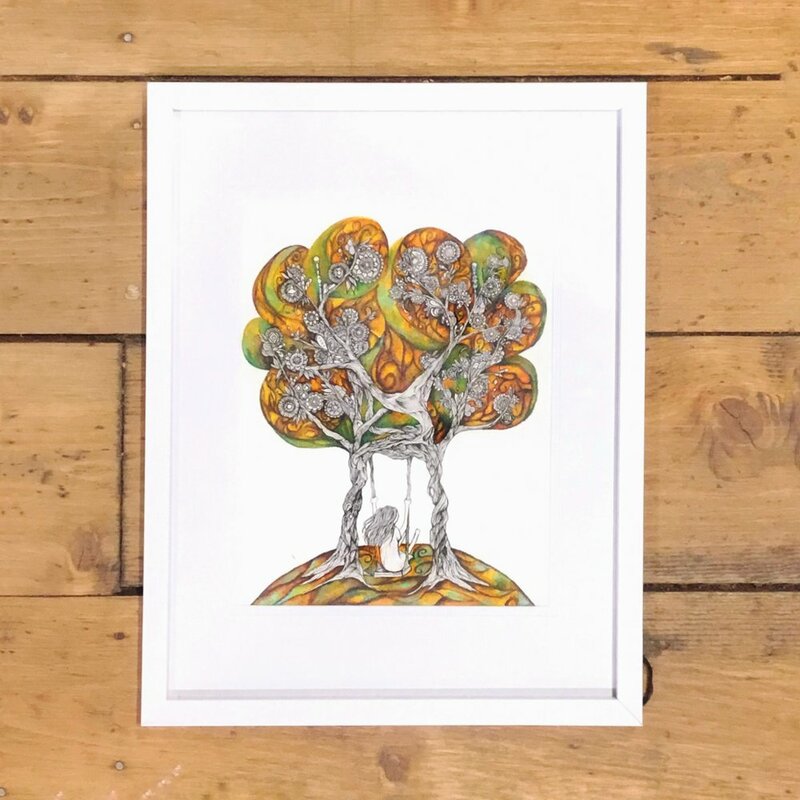 The artists take inspiration from the natural world and the surroundings within which they travel and live, and have responded to each other’s work and ideas aiming for a dialogue to emerge that the viewer can enter into and share. The works seek to engage the senses, not just sight, but smell and touch. Relative refers not only to the correlation between the works and the textural layers that imbue them with the artists’ personalities and ways of seeing, but the relationship between the artists themselves. Distillations is a collection of paintings created during a period in Susie’s art practice where she settled upon the key aspirational outcome for her work: joy. In creating this exhibition, Susie was motivated by a desire to express the sophistication of colour and the boldness of form. The works are a physical distillation of that process, with their emotional distillation being the impact on viewers. Thematically, Distillations is Susie’s articulation of the essence of nature and its beauty. This exhibition offers the artist's observations on how the community in Kyneton has changed over the last 50 years, and yet remains concerned with the same basic issues. 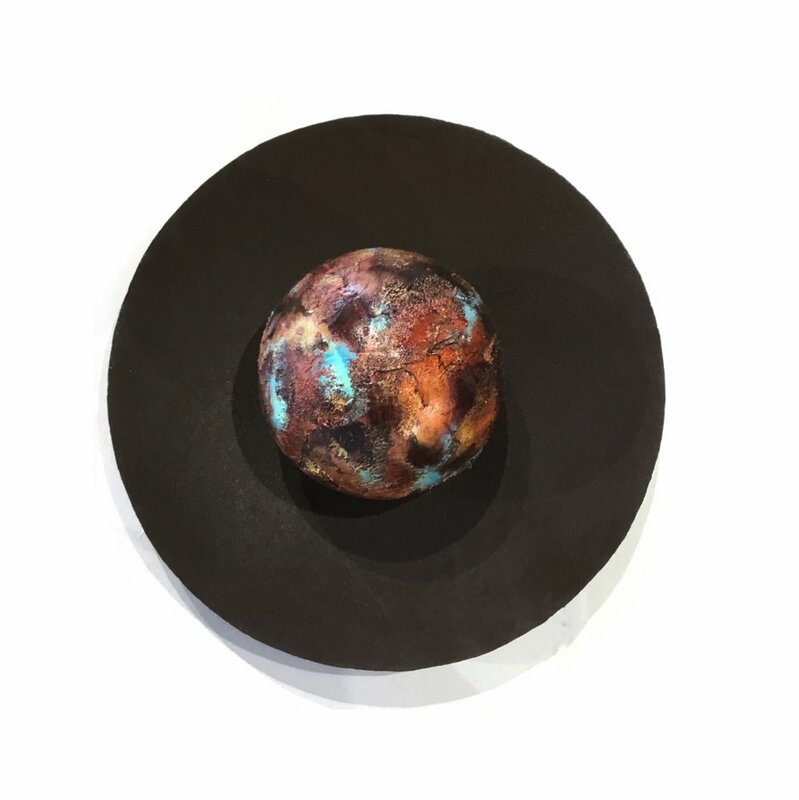 Annual student exhibition of glass arts from the Studio of Leadlight By Ettore featuring works in a variety of glass mediums including fusing and slumping, copper foil, and leadlight. Group Exhibition of mosaic artists showcasing mosaic works in a variety of styles. Solo Exhibition of Steph Stasiliunas showcasing 99 designed and printed t-shirts. 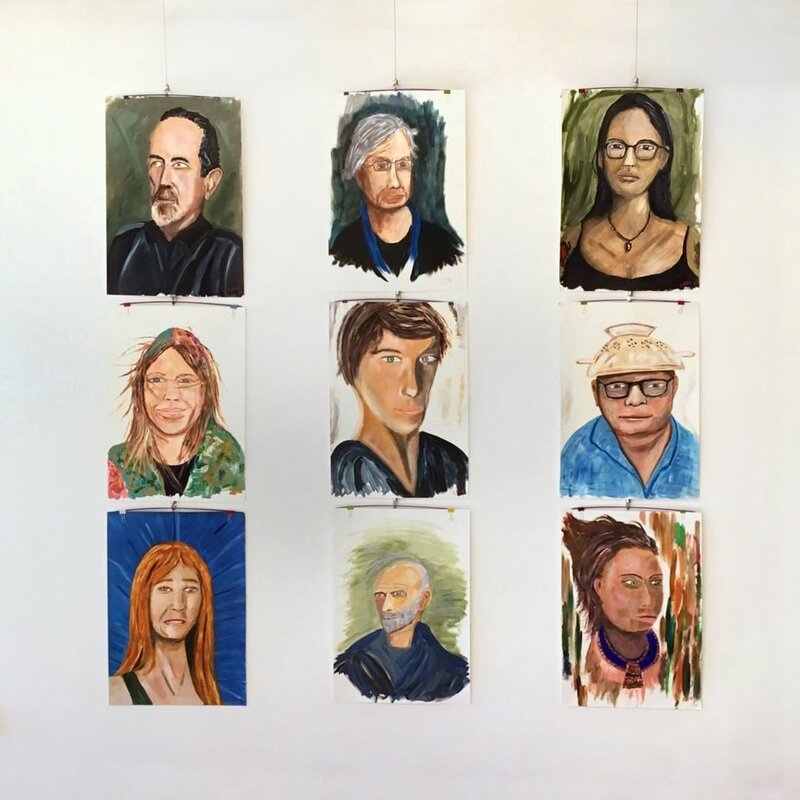 Group Exhibition of student, Peter Patterson, and mentor, Louise Otten, demonstrating their induvidual stules in portraiture and landscape. 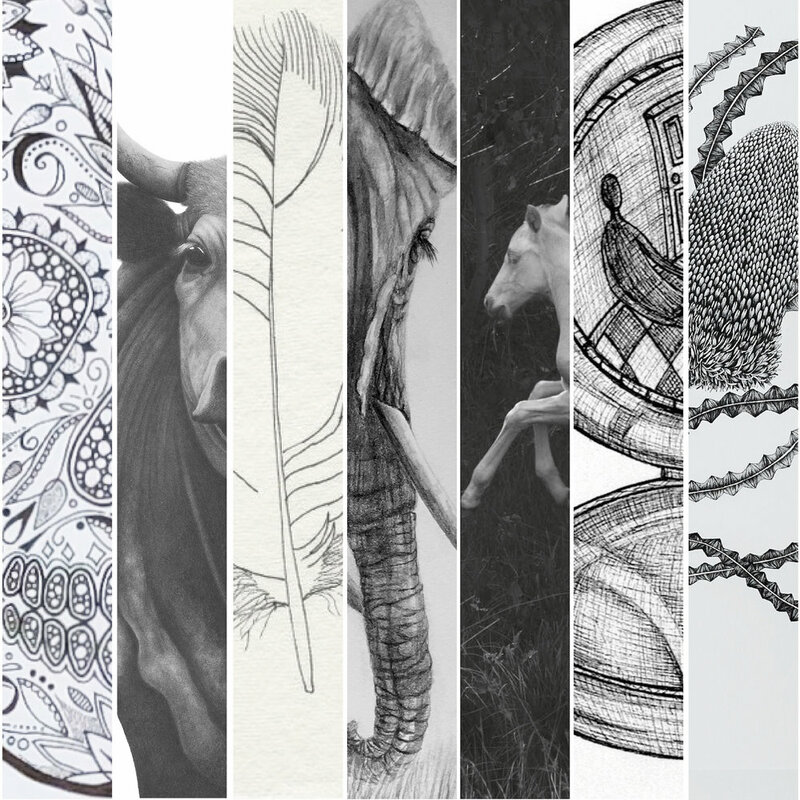 Group Exhibition of Nicole Barros, Zoya Makarova, Jennifer Ross, and Adeline Siew working in the themes of animals and nature in watercolour, acrylic, and pencil. We are busy every day, looking at screens and running from here to there. We don't stop to look and see what is around us. To explore the local area or venture out into Regional Victoria. This exhibition is an investigation when one person ventures to put down the technology and explore the wider world. In it's 12th year the Working Outside the Square Scholarship exhibition embraced it's new home gallery with a return to an earlier medium of glass to test out all the artists. Referencing childhood memories of using precious coloured pencils, a resource that were delightfully protected, often fought over by siblings and only used sparingly to ensure they weren’t wasted Faith curates these treasured objects into pieces that are fascinating and delightful, and in turn treasured. Artists or groups who wish to exhibit in the Main Gallery of The Old Auction House please see our general exhibition information on the Gallery page.